I was awoken before dawn on Millstone Point by the "put put put" of a small fishing boat making its way down the Sound of Bute. ...that the true extent of the slippery green rocks that separated our kayaks from the water was revealed. 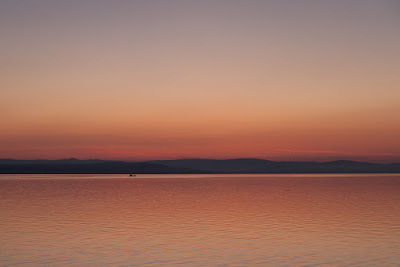 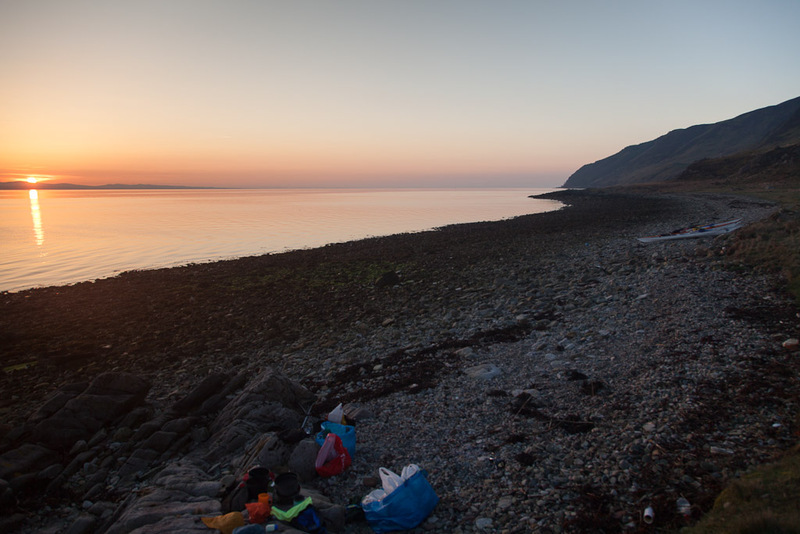 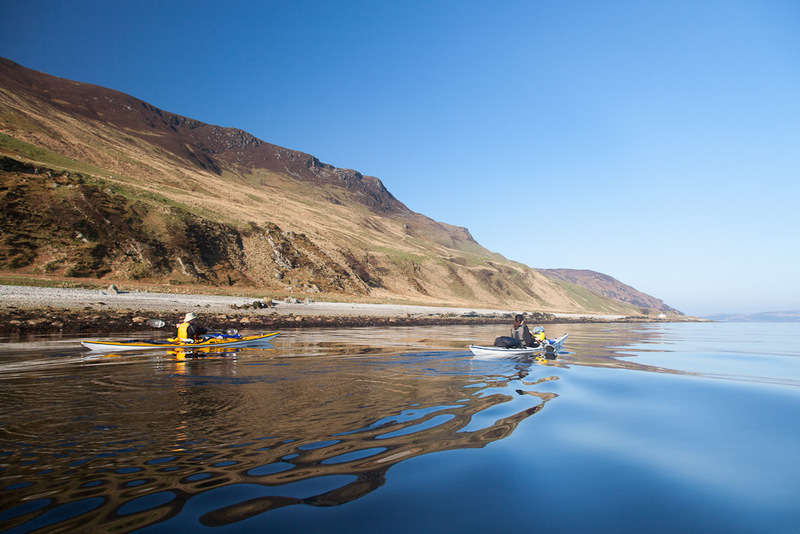 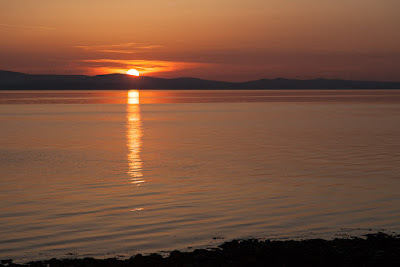 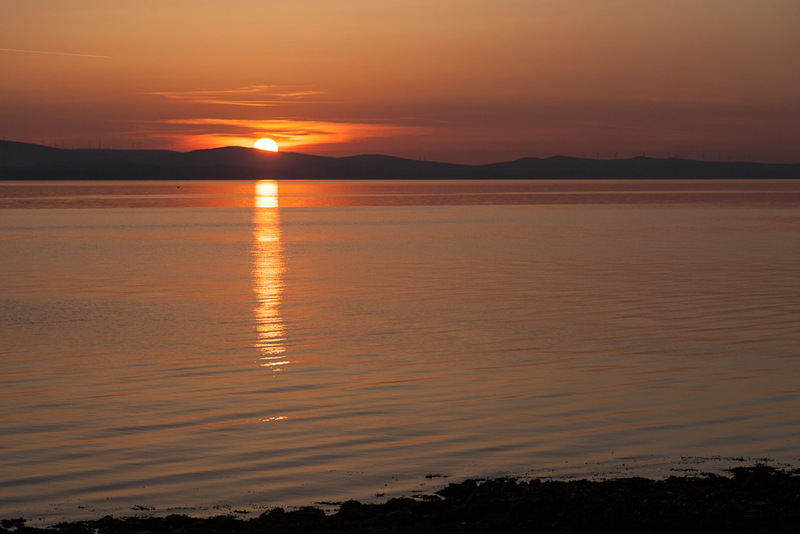 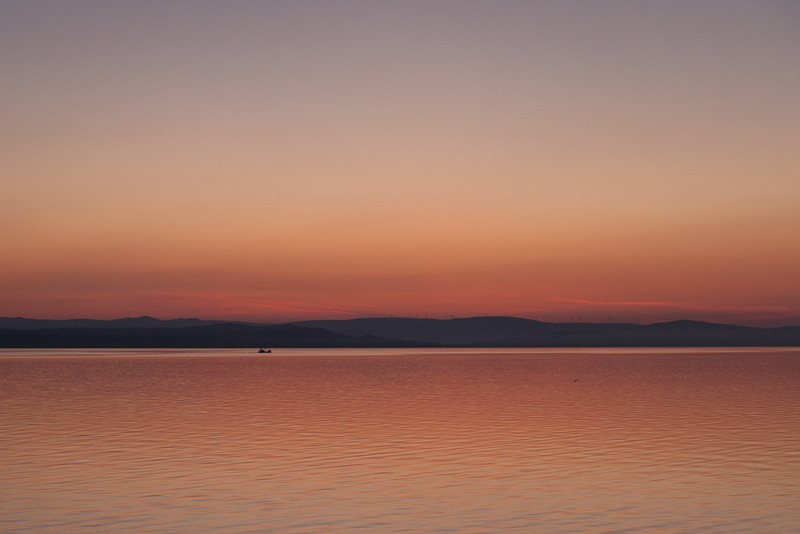 In the Firth of Clyde, spring tides are associated with low water in the morning and evening so if you want an easy time, choose neaps when high water happens in morning and evening. It makes for less humphing of heavy kayaks! 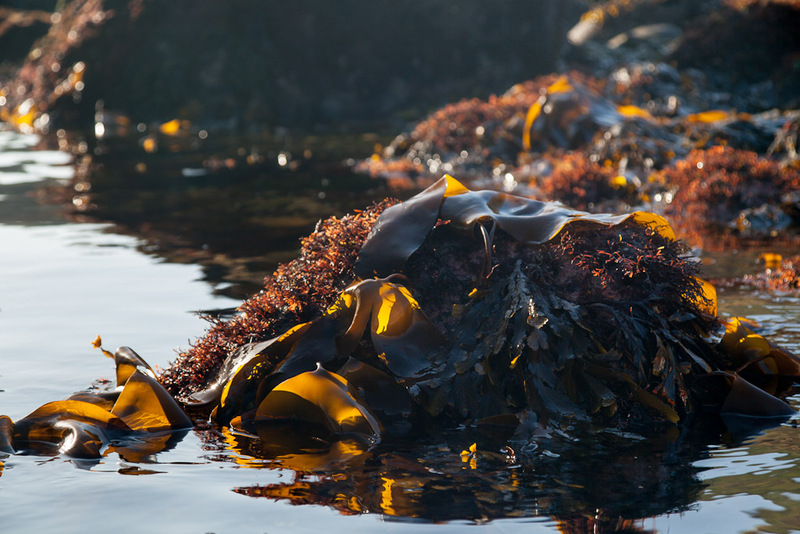 ...down among the kelp beds. 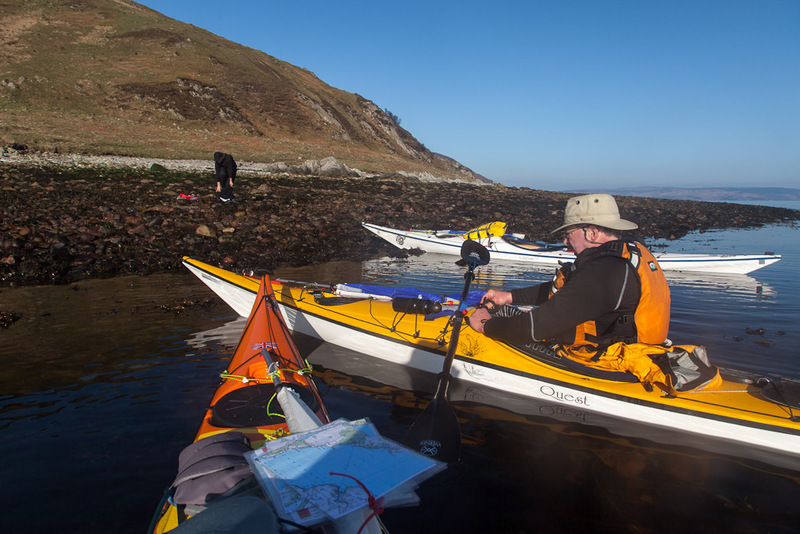 It was a relief when we stopped carrying kayaks and let the sea take their weight!